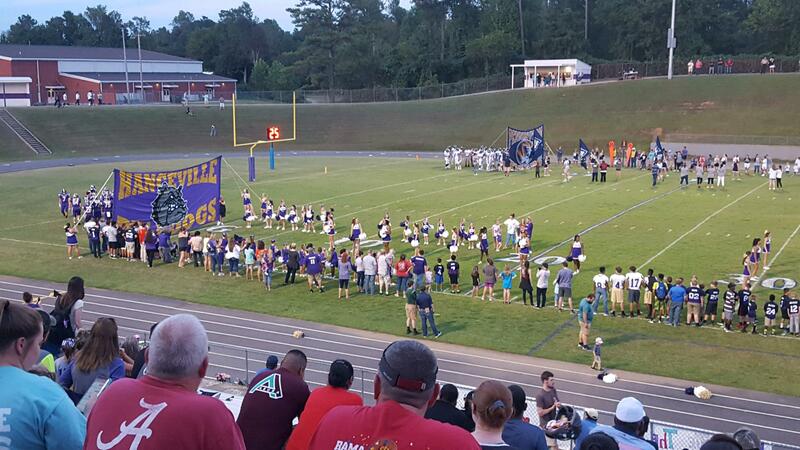 HANCEVILLE – It was a lopsided affair Friday night as J.B. Pennington rolled into Hanceville, handing the Bulldogs a tough 71-8 loss and a 0-1 start to region play. Pennington got off to a slow start but cranked up the pace, scoring 15 unanswered points to end the first quarter. The second quarter did not go the Bulldogs’ way either as Hanceville turned over the ball on first down. Pennington then drove 45-yards in six plays to go up 23-0. Following a 40-yard touchdown pass from Hanceville quarterback Fred Ellis to Bo Joles, Romael Simmons rumbled in for the 2-point conversion to put the Bulldogs on the scoreboard 23-8. Pennington would not go away, snatching an interception and tacking on a touchdown before the half, leading the Bulldogs 29-8. Pennington picked up the onslaught in the second half, holding Hanceville to zero points, as the Tigers added 42-points over the last two quarters to drop the Bulldogs, 71-8. Hanceville will get back on the practice field this week and look to bounce back when the Bulldogs host Holly Pond (Class 3A, Region 5) next Friday.